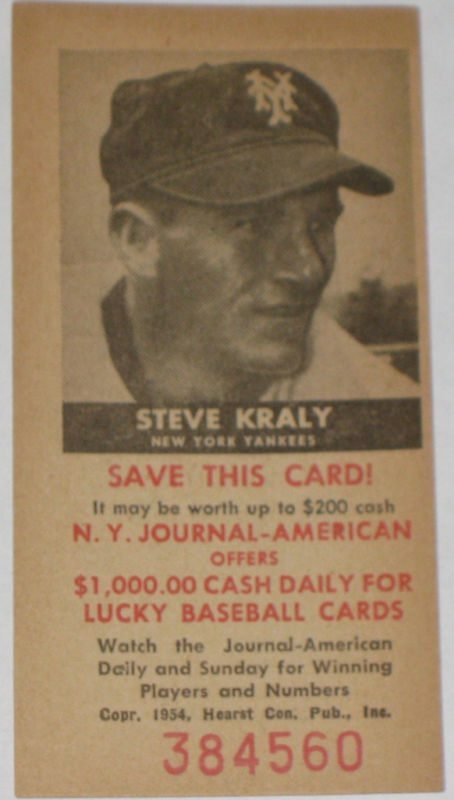 I just received a response from Steve Kraly, pitcher for the 1953 Yankees. I sent him three questions. He wrote back without answers. Instead, he gave me permission to call to chat about any questions I’d have. 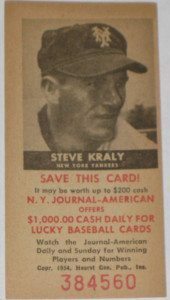 Kraly is so much more than a “cup of coffee” guy with the Yankees. Check out this great feature from 2008. I didn’t know Kraly was a beloved part of Binghamton Mets history. Besides, I’ve never talked to the inspiration for a bobblehead, before. Kraly was generous. I wanted to share, too. Through Monday, I’ll be compiling other questions YOU might like answered. I’ll include those in my conversation. Coming Thursday: Comparing Virgil Trucks to a Hall of Famer. This article above might start to jog your brain about what to ask Kraly. He was excellent to talk to a few weeks ago.